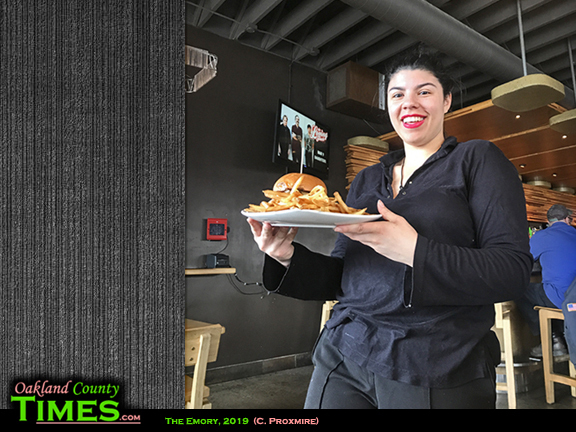 Ferndale, MI – A Ferndale tradition is Burger Tuesday at The Emory (22700 Woodward Ave). 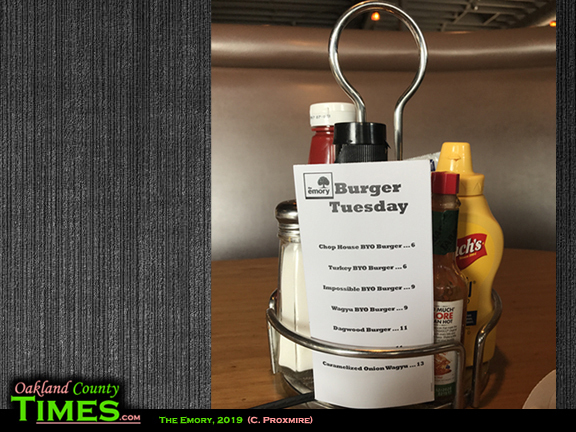 On Tuesdays the gourmet burgers are served up at a special discount rate, making it a great place for a workday lunch or easy dinner. 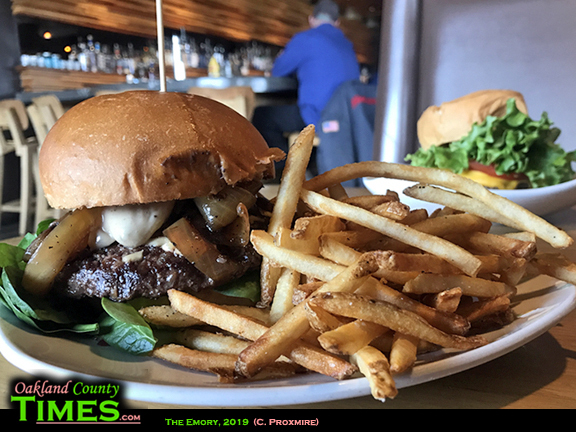 The Emory recently upped their burger game, sourcing their meat from Ferndale-based Farm Field Table. 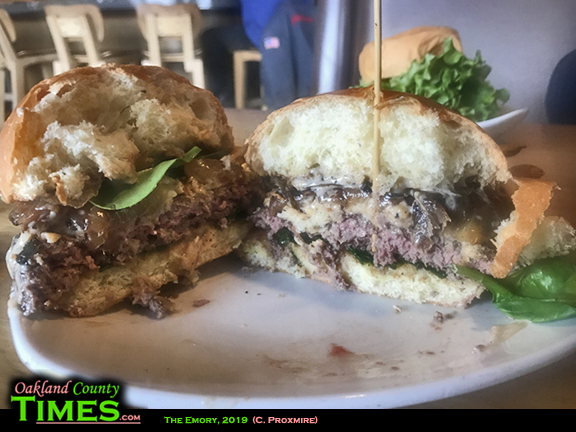 I had a business meeting there a couple weeks ago and got to try the Wagyu Burger, which is a Waguy-blend patty topped with caramelized onion, smoked Gouda, black garlic aioli, and spinach. I had it with the hand-cut fries. 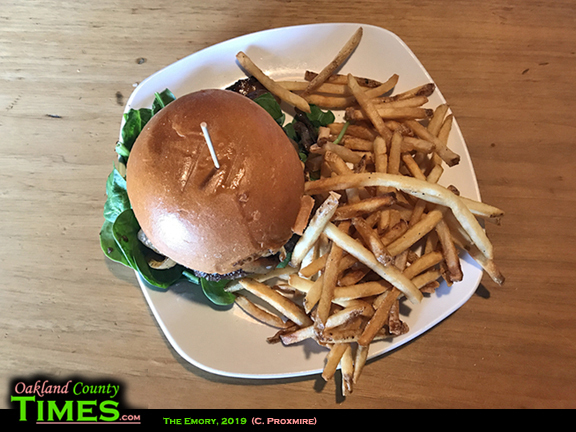 The person I met with does not eat meat, so they opted for the Impossible Brand plant-based patty along with a bowl of soup. 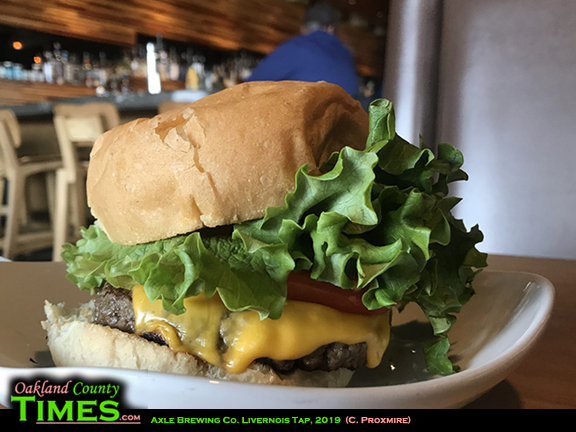 Other burger options include Other burger options include the Dagwood Turkey Burger and The Emory which is a custom chop-house burger topped with thick cut bacon, fried egg, provolone, crispy onions, and chipotle sauce. There are plenty of add-on topping options also, such as salsa verde, spicy ketchup, coleslaw, picked jalapenos, mushrooms, several types of cheese and more. 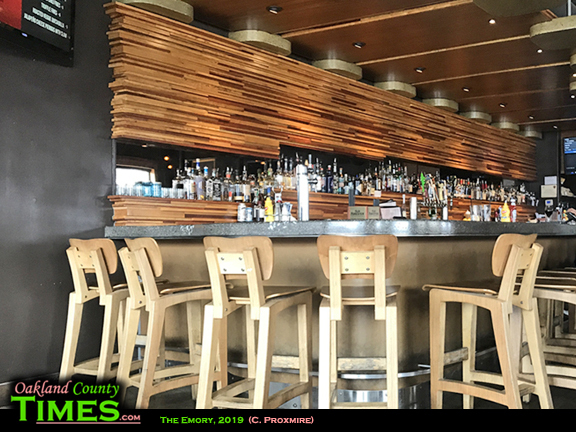 The Emory has nice big booths and windows that are great for people and car-watching on Woodward. 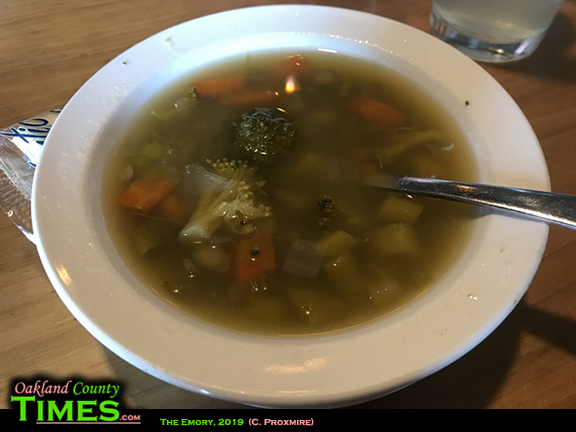 Check out their full menu at http://www.theemoryferndale.com.